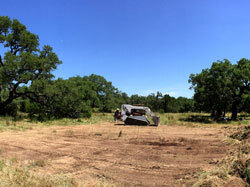 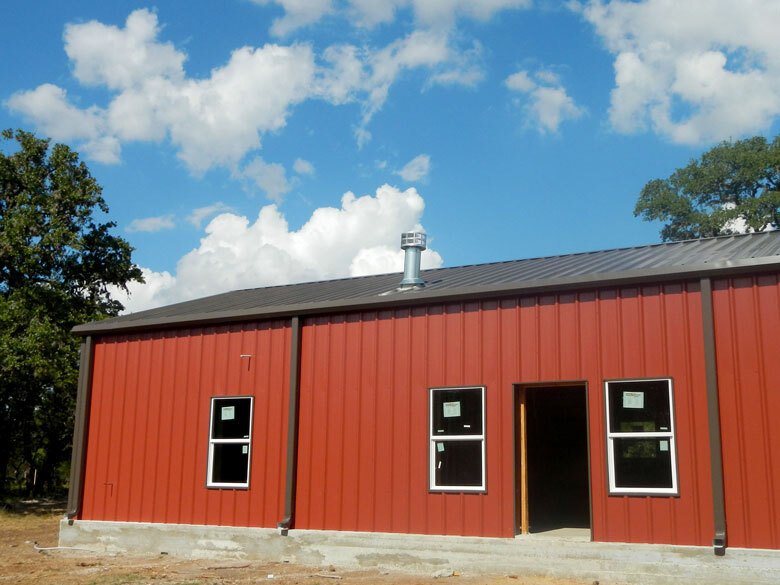 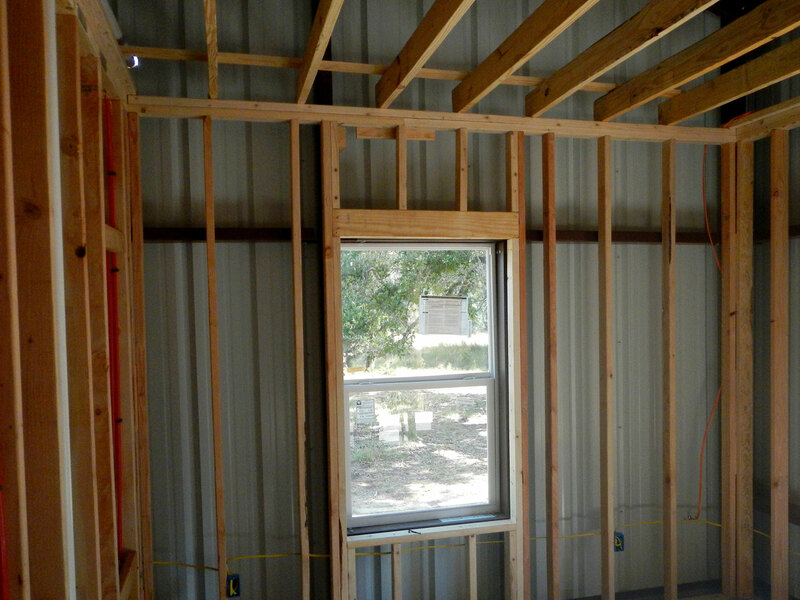 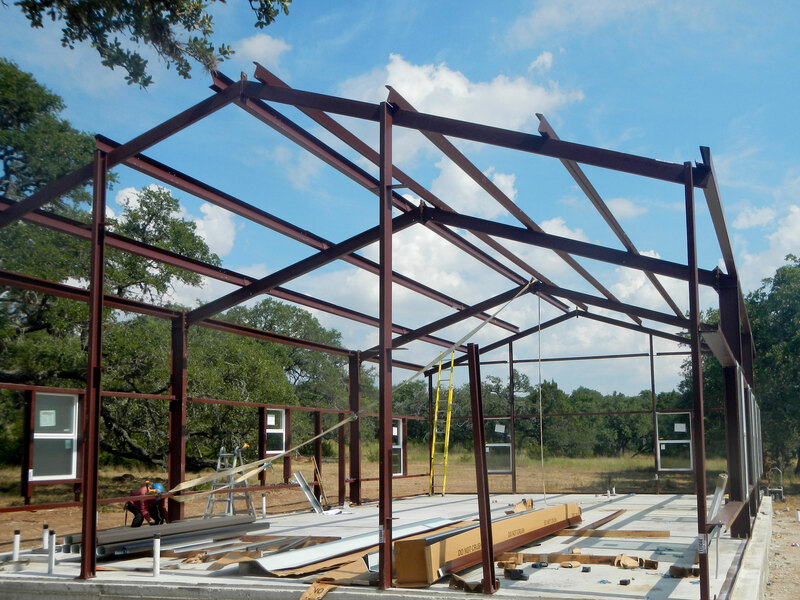 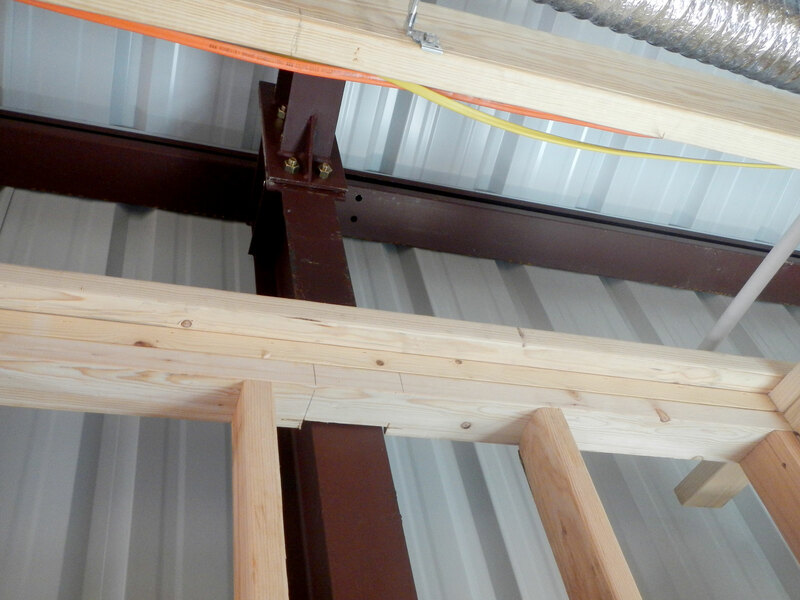 Deep in the heart of the Texas Hill Country, a new steel home is going up. This 3 bedroom, 2 bath home was designed to fit perfectly on an acerage lot between the ancient oak trees scattered across the property. 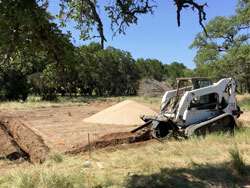 The site was close to level, so only a truckload of dirt was needed to give us a smooth platform for the concrete slab. 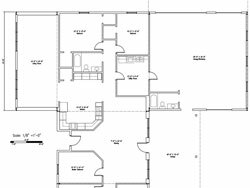 The owners wanted something that would fit their budget but still be big enough for their family. 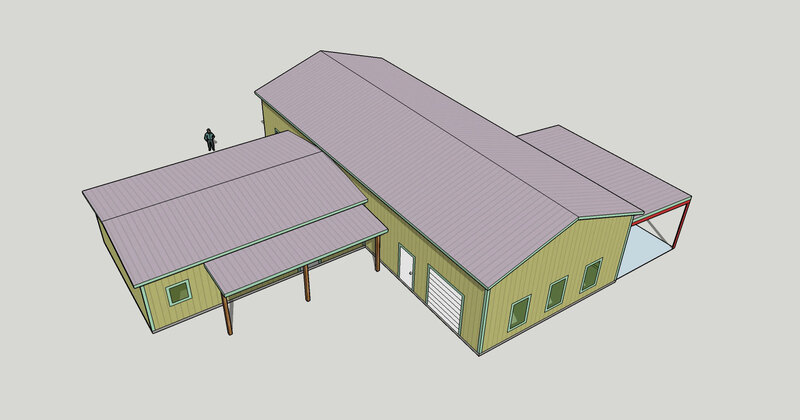 MetalBuildingDepot.com was chosen to design and build the Barndominium™ because we kept things simple. 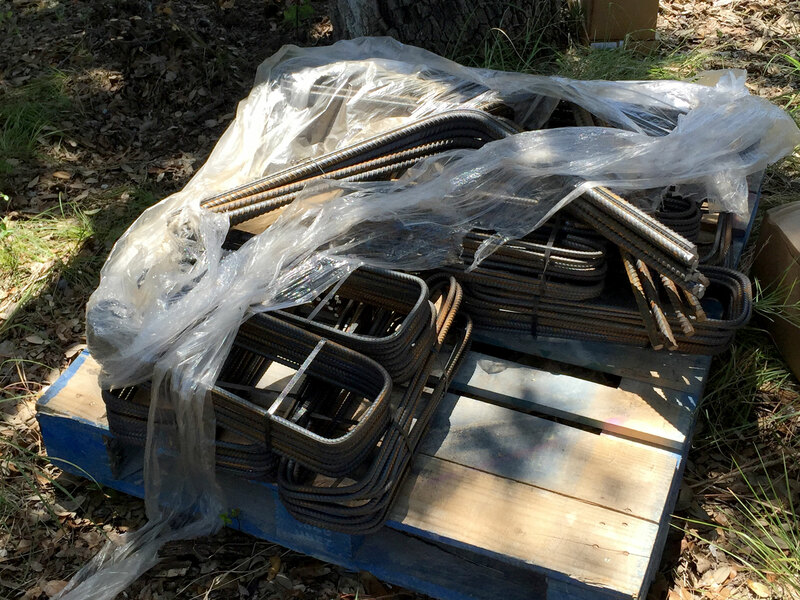 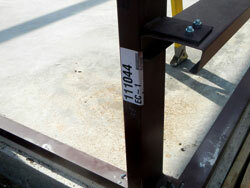 All the parts are pre-cut to the right sizes and all the clips are welded before being delivered. 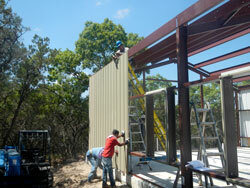 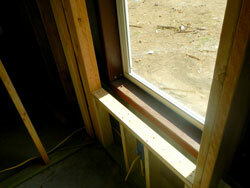 Little time is spent on field work, allowing the home to go up fast. 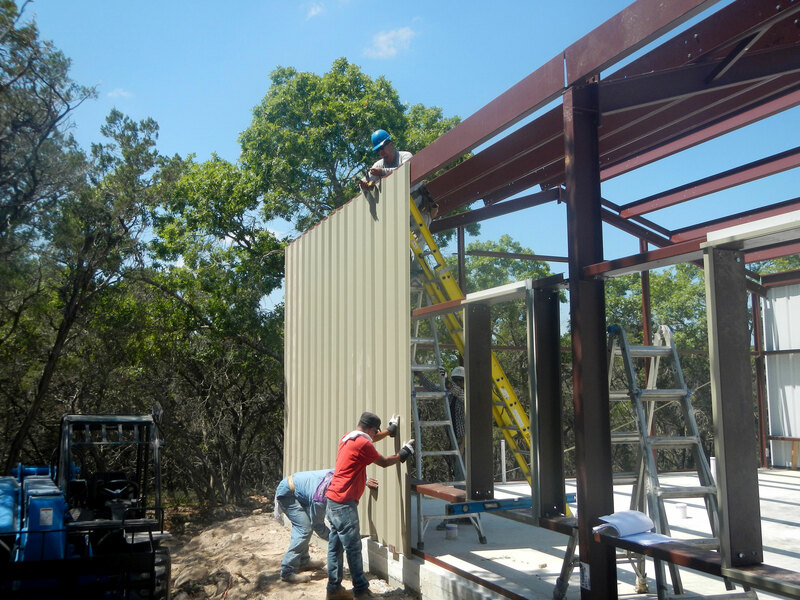 We can help you along every step of the way. 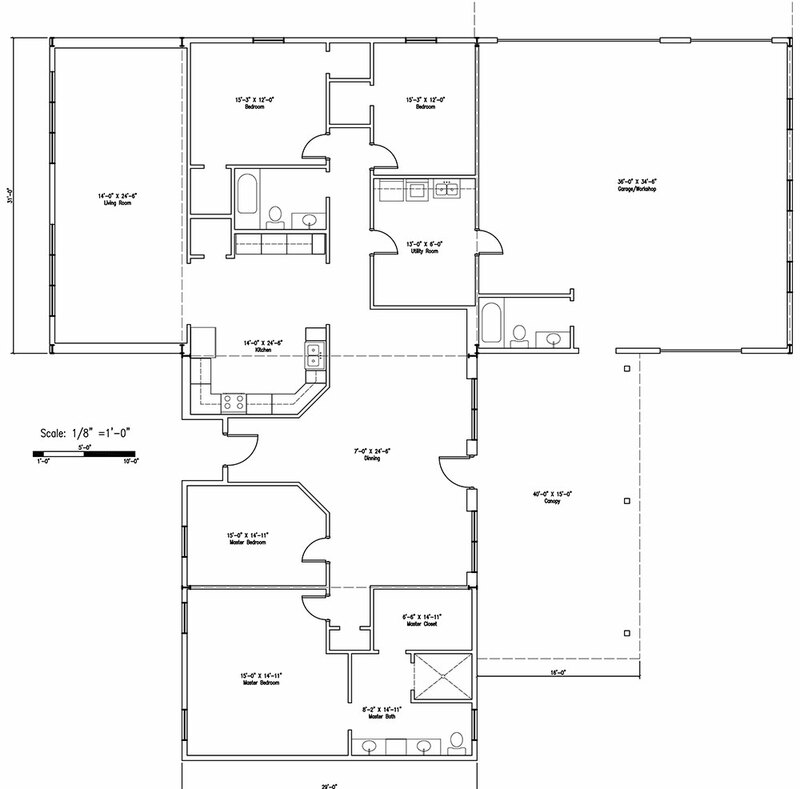 We start by designing your custom floorplan to perfectly suit your needs. 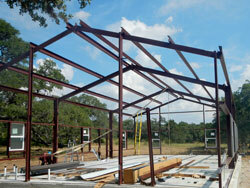 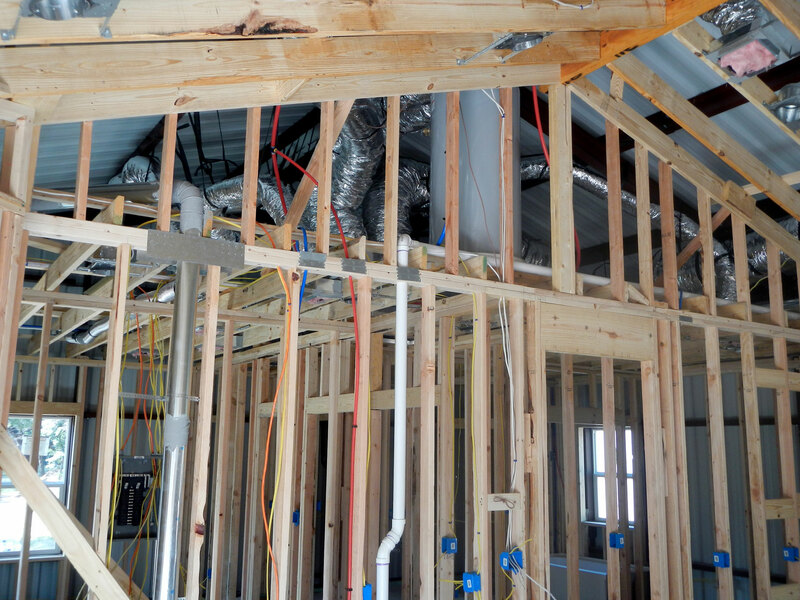 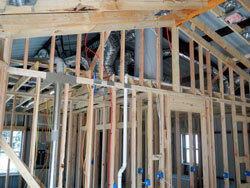 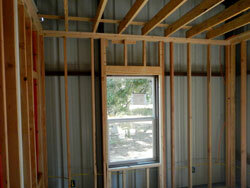 Depending on your location, we can also do all the sitework, foundation, and building installation. Or if you are a DIYer we can have the all the steel shipped straight to your future doorstep. In a hurry? 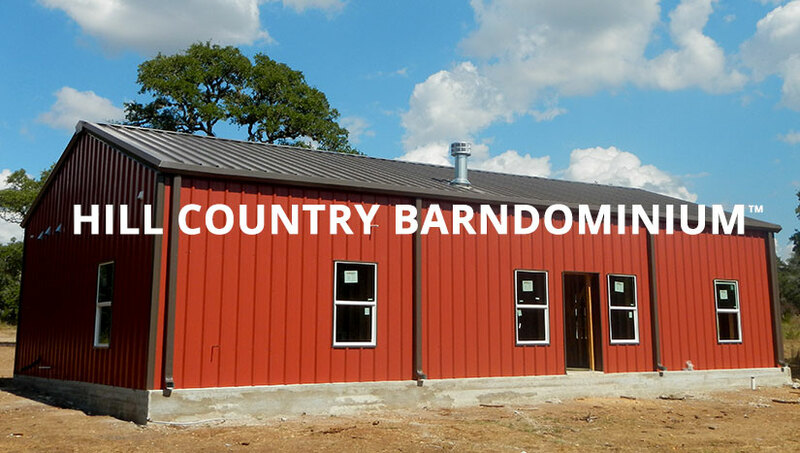 Call us and get your Barndominium™ quote today! 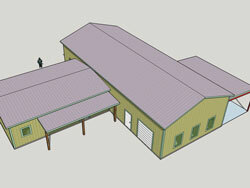 Even if you are in the early planning phase, we'd love to see if a Barndominium is right for you.